This is a reprint of an article in HorticultureWeek. Case made by European Young Forester of the Year winner John Parker of TfL. 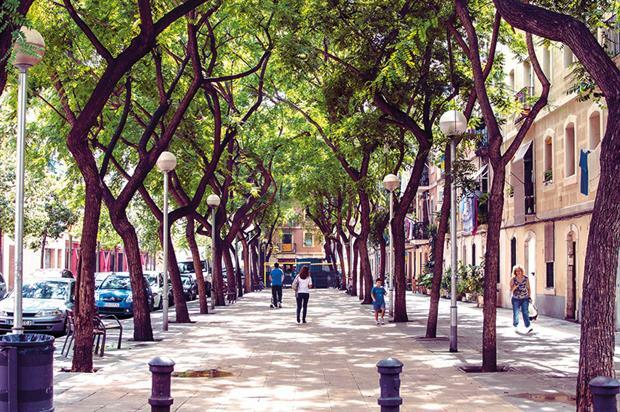 British arboriculture can benefit from closer association with European industry and research, according to London Tree Officers Association (LTOA) chair John Parker, who was named European Young Urban Forester of the Year 2017 at the European Forum on Urban Forestry (EFUF) conference in Barcelona, Spain, earlier this month in honour of his work at UK and European level. The award also recognises his own work in bringing the fields of arboriculture and urban forestry together. “The two terms are pretty interchangeable here — my degree is in both — and in London we consider the ‘urban forest’ to be every tree, private and public, on streets, in parks or gardens,” he tells Horticulture Week. “But in Europe the urban forest tends to be peri-urban and so doesn’t include individual street trees, which are managed by arborists.” Reflecting this at institutional level are the separate European Arboricultural Council (EAC) and EFUF, which “don’t seem to work together that much” despite considerable overlap in disciplines, he notes. In attempting to bridge this gap, Parker, who sits on the EFUF steering group, now also represents the forum at the EAC “and may end up performing the opposite role as well”, he says. Halfway through his two-year LTOA chairmanship, “broadening the association’s work both nationally and internationally has also been my thing there”, he adds. For example, the LTOA has worked as the lead UK organisation on canker stain of plane (Ceratocystis platani), publishing professional guidance on dealing with the pathogen, which has devastated trees in areas of southern Europe and now threatens the plane trees for which London is famous. “At first we didn’t know what we were doing with it. It was only by talking to our European colleagues who have dealt with it for decades that we learned,” says Parker. But the information flow is not just one-way, he adds. “At the Barcelona conference I gave a presentation on surface materials around trees in hard landscapes, based on our work at the LTOA. This was of interest to many colleagues there, who may have been using the same surface materials indiscriminately.” Though it has yet to be formally launched, the online paper has already been downloaded as far away as North and South America and the Far East, he adds. On his impressions of other forum presentations, Parker says: “It broadens the mind. There are people doing amazing things. With academic research it can take time to work out how to apply it. Each year since 1998 the EFUF has brought together practitioners, policymakers, managers, educators and researchers in urban forestry, urban greening and green infrastructure, including from beyond Europe, to discuss new developments and to visit examples of good practice. Under the title Urban Forest Boundaries: Within, between and beyond the city”, the 20th forum addressed issues including ecological connectivity, compatibility of ecosystem services, biodiversity and disturbances, and the social aspects of forest management and planning in peripheral areas. The forum will be held again next May in Helsinki and Vantaa, Finland. “Each has its advantages and disadvantages and no single material is right for every scenario.” It is available for free download at ltoa.org.uk.